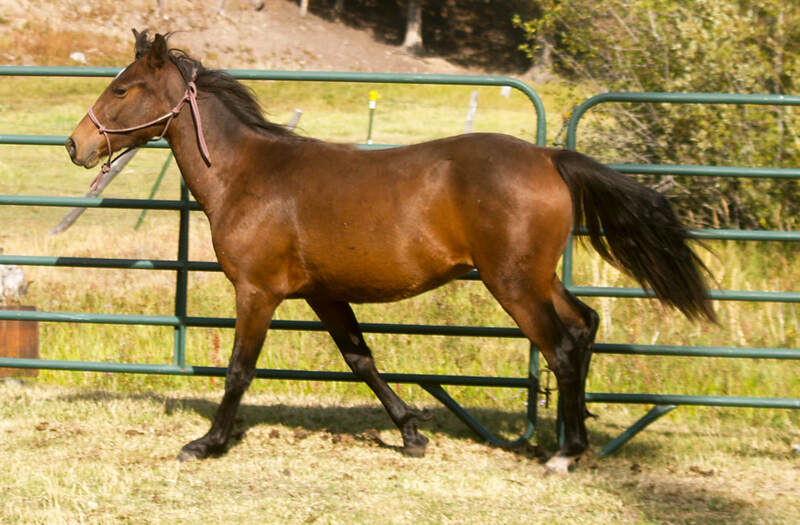 Most brown horses are actually called Bay when talking about horse colors. 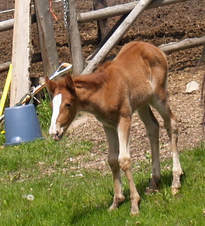 Bay horses have black mains, tails and (usually) legs, and a brown or red body. 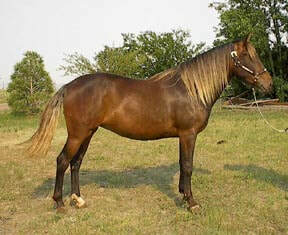 Description: Bay horses have a brown or red body color with black main, tail and (usually) legs. The black on the legs often bleeds into the brown body color as it reaches higher up on the legs. 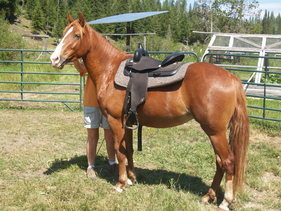 This horse has an almost red body color but a black main and tail. His legs have some red, fading to black. Another Chestnut horse, this one's mane and tail are slightly darker than his body. 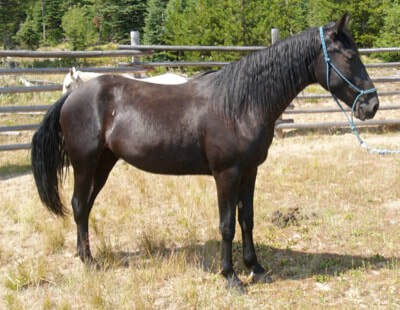 This horse is a very typical bay with a light-brown body, black main and tail and mostly black legs. This girl, on the other hand, has a main and tail that are almost exactly the same color as her body. This horse is dark enough to look black in some light. His body is a dark brown and his main and tail are black. 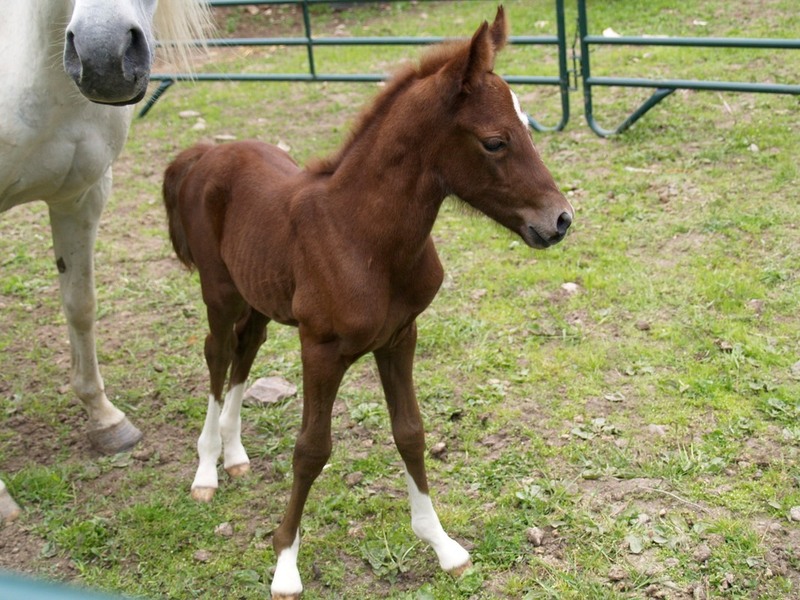 Though many horse colors are significantly different at birth from their appearance as adults, Red horses are born looking pretty close to what they will look like all of their lives. 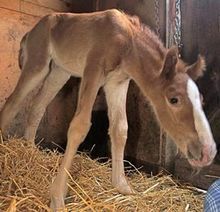 The only difference is that the red colors is often a bit lighter at birth and darkens out into deeper shades of red as the horse grows up. 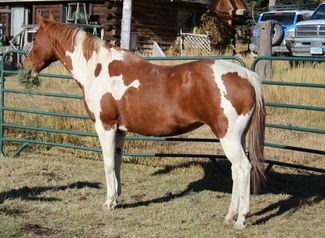 Paint - If a paint horse's base color is red, then the paint will have big splotches of red mixed in with big splotches of white all over its body. Its main and tail will also be a mix of red and white. 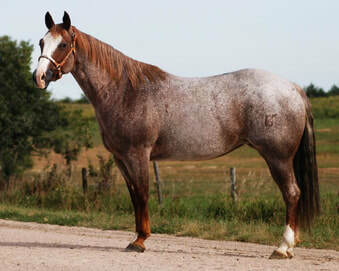 Roan - If a roan horse's base color is red, it will be what is known as a Red Roan. 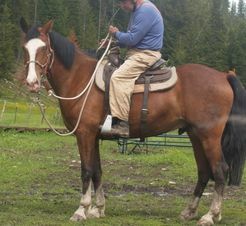 This is a red color on body, legs and (probably) main and tail (main and tail could be white instead) with white flecks all over the horse's body and legs. There are few other colors which are easily mistaken for red. 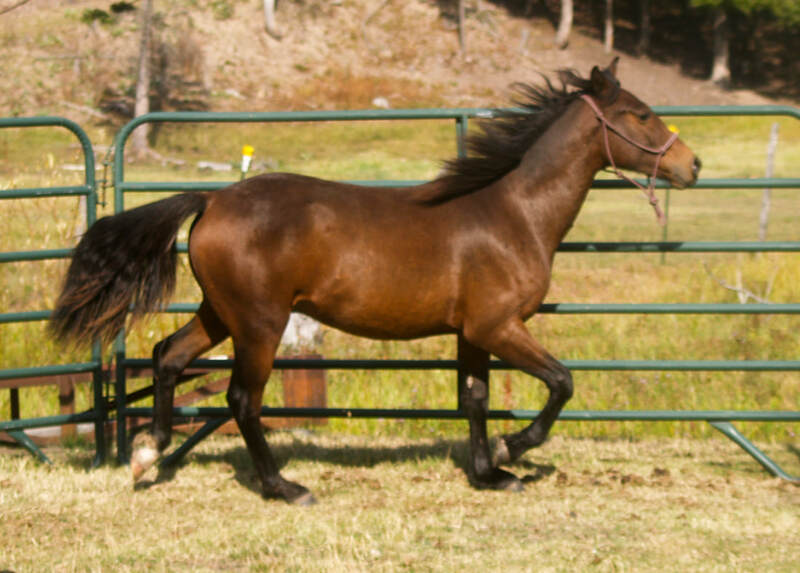 Bay - The bay coloring can sometimes produce a red body, but a bay horse's main and tail are always black, whereas a red horse's main and tail are either red or white, so these is easily distinguished from each other. 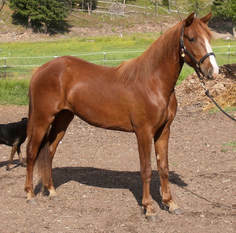 This Bay horse has a very red body color, but the black main and tail make it impossible to mistake for Chestnut or Sorrel.